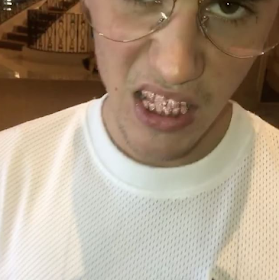 When you are as rich and carefree as Justin Bieber, you can do anything, including getting a grill made of a combination of pink sapphire and rose gold. The 23-year-old recently bought himself the grill from his trusted dealer and it cost about $15,000. The mouthpiece was made by Gold Teeth God, a jeweler based in Los Angeles. Justin had bought jewelry from the company before so he chose them to fashion this new piece for him. Sources revealed that the singer flew to Miami last week to do an impression of his teeth. The grill, which is a combination of 6 carats of pink sapphire and rose gold, with 6 teeth covered on top and 6 below, took 5 days to make. And from what sources close to the singer say, he really likes his new teeth. 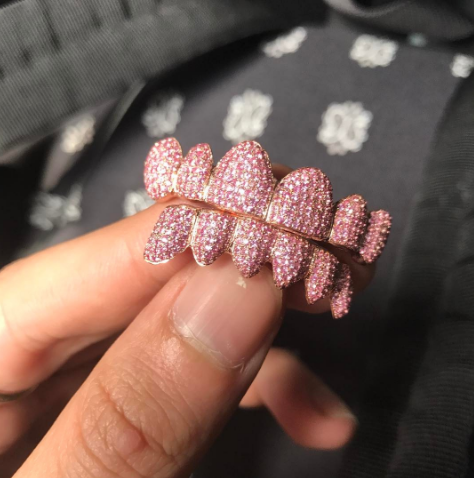 Gold Teeth God shared a video and photo of the unique grill on their Instagram account and described it as a "6x6 rose gold with light pink sapphires". See the video below.